This is one of the most popular products we have on our website, and with good reason. 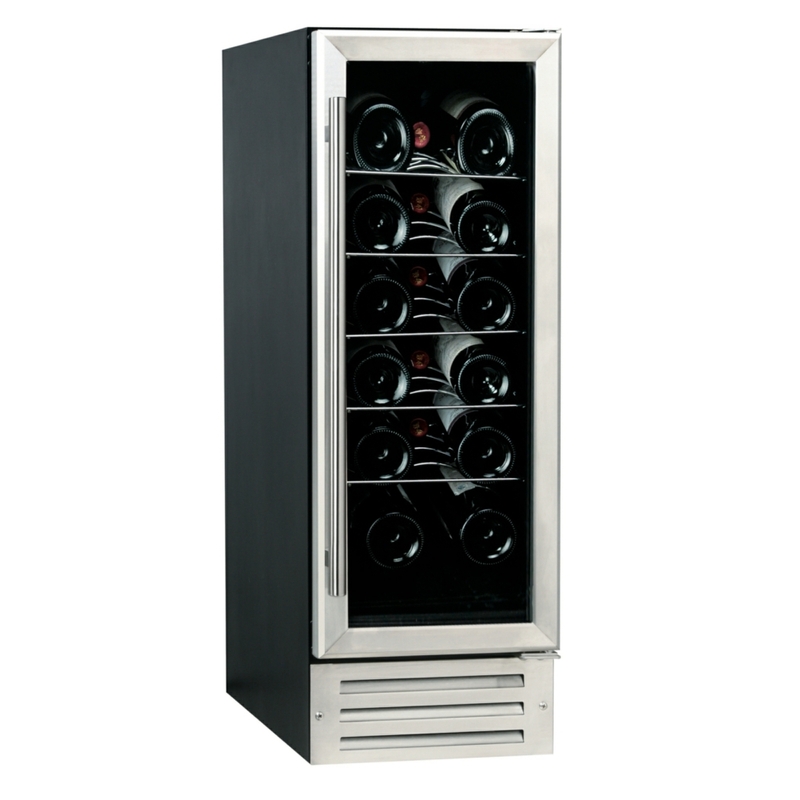 The Hafele built in wine cooler is incredible sleek, convenient and means that you can save some fridge space. The thermoelectric mechanism inside keeps your wine (or any other drink) at the precise temperature. 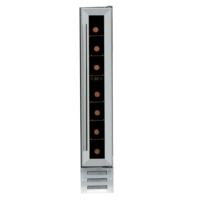 An internal LED light makes it easy to find your favourite wine and its stylish glass door can make this wine cooler a centre piece in any kitchen. If you've got any questions about this built in wine cooler or want to know how to install it please don't hesitate to get in touch with us, one of our specialists will be more than happy to help. The smart and stylish Hafele Built In 300mm Wine Cooler is a fine place to store your wine. It features thermoelectric operation to store your wine at the right temperature. Access to your bottle of choice is easy, thanks to the chrome shelves, while a total capacity of up to 58 litre or 18 Bordeaux-style 75cl wine bottles means you'll have plenty of room to store your reserves until they're needed. An internal LED light makes it easy to spot the bottle you're after, while a UV filter on the glass door protects your bottles from light.